Before we break ground, we'll have our pre-construction meeting to go over any questions you may have. For detailed information on the process, watch the Ted Explains video below. Ted considers this the most important step in the building process. He'll meet with you to ensure the quality, color sheet and selection sheet are exactly what you want. For more details on this step, please watch the Ted Explains video below. The key to customer satisfaction. Ted walks you through your new home and explains every everything, from the kitchen sink to your warranty. For more details, please watch the Ted Explains video below. An Absolutely Amazing Experience. Ted Lowe and his crew built us our Dream Home and then some. The whole building process went very smooth. If we had any questions or concerns, someone responded promptly. We went in with a lot of good ideas, between Ted and the architect, our dream became a reality. Couldn't recommend anyone more than Ted and his Lowe-bo family/crew. Thanks for everything. Thank you Ted, Daniel and Dolores! We’ve been in our house for about 8 months now and absolutely love it! We couldn’t be happier with everything and appreciate the quality and wonderful details in our home every day. We haven’t had issues with anything which is very unheard of. We loved the building process and have been referring you to everyone we know who might be in the market for a new home. If for some reason we ever need to build again, we wouldn’t consider working with anyone but you! To my mind, Ted builds an extremely high quality home and stays on budget; a fact that keeps frugal individuals (like myself) happy. Ted puts the costs of each part of the project on a spreadsheet that allows one to see where money is going. The customer is given a budget for windows, doors, flooring, etc. The dealers, chosen by Ted, that the customers work with, are the best at what they do. Ted’s system leads to an elegant home that appears much more expensive than it is. It is little wonder that his homes stand head and shoulders above the others at the Parade of Homes. I am so fortunate that I met Ted and that he built my dream home. I love this home, it has changed my life. If you are building a new house and using a custom builder, Ted Lowe is the choice. Starting this process almost four years ago, Ted was the only builder who was willing to stick with us and work with us over the long haul to make our custom home dream a reality. Other builders simply did not care. Ted cares! Ted is committed to providing a high quality product and make sure he can do whatever he can to ensure your satisfaction. There are so many ups and downs with the custom home building process; Ted is the rock we anchored ourselves to get through it all. Ted was always there, via phone email or in person, to help whenever possible. When building a custom house, making sure you have the "right" builder is paramount. Ted is the right builder. Ted Lowe and his team are the best. I am honored to call Ted our builder and friend. In an industry focused on selling the next house, Ted cares about your home more than anything else. Ted cares and it comes through in the home he built our family! We couldn't be happier with our home built by Lowe-Bo Homes! Ted Lowe hangs both his professional and personal reputation on his projects, and it shows. Our home feels like a work of art, though it is equally as functional as it is beautiful, which is necessary for our young family. The process of building a custom house can seem complex in the beginning and it involves several entities. Ted was able to connect us with a variety of professionals to help us along with way, including a real estate agent specializing in property on the West Side, as well as loan officers from a couple of different banks that offer construction loans. As relative newcomers to Albuquerque, it was helpful to have a contractor who could make referrals to trusted local businesses. Most importantly, Ted took an interest in our family and used that knowledge to tailor the house to our needs. Our young sons (toddler and infant) attended all of the weekly walk-throughs, and we appreciated the interactions he had with them. He always had patience with them, even though we were slow-moving. He never made us feel like they were a bother, which isn't always the case when we have the kids in tow. His collegial demeanor was really easy to work with. We highly recommend Ted Lowe and Lowe-Bo Homes to anyone considering a custom home. Ted built a house for us that was completed March 2015. We were very happy with the building process. We have heard many "nightmare" building stories, but our building process went very smooth. Ted made sure we stayed on schedule and paid attention to every detail. He made sure everything was done correctly and how we wanted it. Ted is honest, ethical and believes in quality of workmanship. We are happy we chose him to build our house. We love it! Ted Lowe built my new home in the old Albuquerque Country Club neighborhood. He did a great job - completing the project before expected. Ted was always available and our weekly meetings as construction progressed kept me informed and able to make changes at minimal cost. His subcontractors were professional, polite, quiet and cleaned the lot each day. My neighbors were all pleased with how quickly the home was built with minimum disruption to life on a quiet street. My home is beautiful and comfortable. I would highly recommend Ted Lowe to anyone wishing to build a new home. My wife and I have had the pleasure of working with Ted to complete a small development, and subsequently build 3 homes. Ted is a straight shooter who always looks for ways to meet our expectations. Ted does an excellent job communicating progress during the building process and calls out the problems along the way accurately and honestly. We have been delighted with the finished product and for any warranty items (there are always a couple) he has been very timely in responding. If I have the opportunity to build another home in the future, Ted is the guy we would go to without any reservation! Absolutely, no doubt, that hiring Ted Lowe to build our custom home was the right decision. His experience, attention to detail, ability to listen, willingness to be honest and straight with us, in addition to making the process fun and enjoyable as much as possible, was evident from the first meeting to the last remaining detail. Winning two Parade of Homes awards was an added bonus. We would highly recommend Ted to build your home, whether small, large, grand or modest. You'll have no doubts either. - Julie and Joe Z. A Positive Experience--Having both been in the Construction Business for over 33 years and recently retired; we decided to build a new "downsized" home and this time hire a contractor (since we had previously built four of our own homes)...we knew what we wanted as it was most important to build a good quality home with a contractor that was in tune to our needs and expectations. Our decision to have Ted (Lowe-Bo Homes) build our home, came after much thought and planning. Ted was very instrumental in listening, suggesting and being a part in the planning in order to move forward. We met with him on a weekly basis to communicate our concerns and to get his updates on the construction as it progressed. We had a positive experience throughout the entire process and are pleased to say "our home is just what we expected and more"! We would highly recommend Ted as a conscientious builder who will stay on top of the whole project from start to finish; including after move-in time. We have received so many compliments on the quality and beauty of our home; we are happy we chose Ted Lowe to be our builder! We have been in our new home for just over a month and are not only very pleased with the home, but also with Ted Lowe’s follow-up and response to our questions and concerns. From the design process through the final construction of our home, Ted was with us all the way. Ted’s mantra is, “I want you to be happy with your new home.” This is not just a sales pitch we all hear from time to time, but a true fact. Ted means it and worked with us to meet our expectations and in many ways exceeded them. Ted builds a truly a quality home. We have and will continue to highly recommend Lowe –Bo homes to friends and acquaintances we meet and work with in our business. We never hesitate to recommend and compliment Ted. It has been a pleasure for us to meet and work with Ted in building a home that we are very proud of. 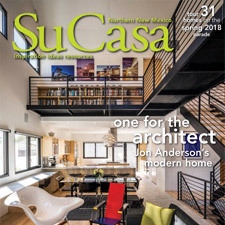 Ted Lowe recently completed my dream home in the North Valley. His attention to detail was exceptional. The house was a value and working with Ted exceeded my expectations. His years of experience and "get it done the correct way" attitude is a tremendous asset. The people/vendors associated with my project were also helpful and knowledgeable. I could not be happier with my new home and would recommend Ted Lowe to anyone thinking about any construction. Ted has an amazing attention to detail even before building begins, which makes working with him very easy. Ted was the only builder we talked to who was willing to build the house we wanted, not the house he wanted. Ted Lowe demonstrated the utmost in professional standards throughout our bathroom remodel project. He was highly ethical and committed to insuring everything came out to our satisfaction. We were particularly struck by the fact that most of his subcontractors mentioned having worked with him for 20 or more years. Throughout the project, his experience was clear. No remodel fails to have a few minor glitches along the way, but Ted took care of them masterfully. We recommend him without reservation for any home construction or remodel project you're considering. Ted recently completed the construction of our home in North Valley. We have had several houses built in the past and have worked with different contractors. Ted demonstrated a high level of honesty, fairness, ethics, and above all, commitment to meet our high expectations during the planning and construction of our home. We enjoyed working with him and appreciated the friendship that evolved during our joint venture. We recommend Ted without reservation, because we believe he is an outstanding contractor with high standards with a genuine commitment to his clients. As a Construction Consultant and Project Manager, LOWE-BO Homes and Ted Lowe were the best of "problem solvers" for a complex, state of the art Kitchen Extension where surprises are the norm. Even for a few hundred square feet effort, Ted Lowe always had innovative approaches, a calm demeanor, and an extensive network of quality subcontractors and tradesmen. Ted was always interested in the quality of the work first, and only secondarily his draw. We’d use Ted again! Ted Lowe of LOWE-BO Homes came to our rescue this last year after a fire in our home. I would not hesitate to recommend Ted's services to anyone: from his one on one personal service to hiring some of the most conscientious subs we've worked with. Communication was key in the success of our project, and Ted delivered in spades on all counts. We feel very fortunate to have connected with Ted. His diligence, quality and concern for his customers completely offset the difficulties of being out of our home for over nine months due to insurance company delays, and we now have a home that is significantly better than before. Thank you, Ted...We absolutely love our NEW home and your work made every minute worth waiting for! I worked together with Ted in a leadership capacity for three years at Centex Homes. Ted's 20+ years of experience in a variety of disciplines within the homebuilding industry cannot be understated when looking to a builder for a new home. His dedication to customer service and exceeding expectations define his attitude toward his job. More than anything, Ted is a man of integrity and someone who is committed to "doing what's right". With his wealth of experience in both the Albuquerque and Santa Fe homebuilding markets, I highly recommend him to anyone who is looking to build a new home they can be proud of. We hired LOWE-BO Homes to do our kitchen/dining area remodel and it was a great experience from start to finish. This being our first remodel, we didn't know what to expect and had heard mainly horror stories of projects taking much longer than expected and turning out over budget and beneath expectations. Ted did an excellent job of communicating to us and guiding us through the process in a thoughtful and professional manner that really set our minds at ease. As issues arose during the process, Ted notified us promptly and everything was resolved to our complete satisfaction. We were also impressed with the caliber and professionalism of the trades-people brought in to do the various parts of the project. The bottom line is, despite all we had heard from others, our remodel done by Ted and LOWE-BO Homes was completed on time, on budget and met or exceeded our expectations. We've already given Ted's contact information to several friends and co-workers, and would recommend LOWE-BO Homes to anyone looking to build or remodel based on our overwhelmingly positive experience. We met with Ted to discuss some updating plans for our living room,and kitchen. We had been wanting to update our kitchen appliances, cabinets,and new tile throughout,but had no idea where to begin. Ted told us how long it would take, what it would cost, and what to expect. Everything went just as Ted said it would, and we couldn't be happier with the end result. We highly recommend Ted Lowe and LOWE-BO homes for all your construction needs. Ted Lowe is an outstanding and experienced construction professional. He has developed the necessary skills to manage effectively across all functional areas to execute and deliver a quality product or solution. He has strong work ethics and high integrity, works well under pressure, solves problems efficiently and is reliable. It has been a pleasure to work and be involved with Ted in different project; I can certainly recommend his work and professionalism. For fifteen years, Ted and I worked together on numerous projects within Centex Homes. We were engaged in designing homes, working with sub contractors on options and pricing and developing neighborhoods. I observed Ted’s steady leadership and dedication to winning solutions as they greatly contributed to our division’s overall success. Our division’s success was measured by the hundreds of satisfied customers achieving their dream of homeownership. Dear Ted and Jason: I would like thank you both on a job well done on my bathroom/closet renovation. Throughout the last few years, I have done small improvements throughout the house to make it my own. What this house really needed was a bigger master bathroom and closet and the job was above my capabilities. So, I hired you two to expand the bathroom into the existing small closet and then open up into one of the other three bedrooms and convert it into a closet. I hired you two because I trusted you both to do the job professionally and up to code. Happily, that is what you gave me. A job well done. The job included tearing up the existing bathroom and closet, building custom hickory cabinets with a granite countertop and undermount sinks, re-tiling the floor, custom tile and mirror design over the vanity, moving electrical and plumbing, framing up a new wall and door to the closet, closing up a pocket door and bedroom door to the hallway and 2nd bath, expanding a corner wall in the master bedroom, repairs to the existing floating wood floor and replace both toilets. Overall, I am very pleased with the work and would recommend LOWE-BO Homes to others because of your professional work. Thank you again. I worked with Ted in the home building business for several years. During that time I worked closely with Ted on many projects, large and small. In my experience working with Ted, I have found him to possess an extensive amount of home construction knowledge and experience. He also has exceptional project management skills. He is very detail oriented and excels at problem solving, but can also see the big picture. I would recommend him to anyone considering building their dream home. I have known Ted Lowe for 13+ years and worked with him for 10 of those years. Ted is one of the most conscientious, detailed people I have ever known. He watches every detail from the paperwork, to the actual building, costs included. He strives to keep his clients happy and really listens to what they want and what their dreams are. People who are building a home or remodeling have a dream and a plan in their head and Ted works very hard to make those dreams reality. You can't go wrong in choosing Lowe-Bo homes to do business with. I worked with Ted Lowe for 7 years and he is a true "Throwback" to the days when builders really understood quality, listening to the customer, treating every home like it was their very own, and one that would have your name and reputation attached to it for years to come. Ted not only brings his extremely accomplished resume to the table, but he backs it up every day in how he handles his business. You’ll find Ted on the job, every day, taking personal care and interest in his homes , making sure that every detail is attended to. These days that simple care and attention is all too uncommon in the homebuilding world. His reputation in Albuquerque and Santa Fe are impeccable and earned thru a lifetime of achievement and results. He’s well known and highly respected by all those in the industry in New Mexico. As a native New Mexican Ted really stands out in understanding the styles and designs appreciated in the Southwest and he brings an architectural flare and detail to his homes that are second to none. Ted understands the quality, style, and aesthetics that well educated customers are looking for in their homes today. His experience in all aspects of the homebuilding industry is tremendous and he has the ability to bring projects together that so many other custom builders struggle with. I can’t say enough about Ted and his company. His personal reputation speaks for itself. Ask around and you’ll hear the same things again and again. If you see the word BUILDER on his card, don’t take it lightly, Ted EARNED that title from years of hard work and an unmatched attention to quality. I would highly recommend anyone who is considering building a new home in Albuquerque or Santa Fe speak with Ted and find out what he can do for you. I worked for Ted for 12 years and with his leadership, we acheived the highest customer satifaction in the country 2 years in a row. Ted is a true professional with a wealth of experience in construction and design. He is a problem solver, makes good decisions and is truly concerned about the customer. He will exceed your expectations. Experienced, honest, dependable, this describes my experiences with Ted Lowe. Ted has been in the construction industry longer than just about any other company in the Albuquerque metro area. You can trust what he tells you and have the peace of mind that you are being dealt with fairly. As to his dependability, you can count on him to do what he says he is going to do without fail. LOWE-BO Homes did a great job on our new patio. Ted Lowe checked on the job daily and made sure our expectations were being met. His crews were courteous, kept the job site clean, and did professional work. The patio was completed on schedule and on budget at a competitive price. I would highly recommend LOWE-BO Homes to my friends and neighbors. Working with Ted Lowe and Lowe Bo Homes was easy. He made it simple to build our dream home. He is organized and knows what he is doing. The weekly meetings allowed us to stay up to date on the progress and made us feel very involved in the building process. We would highly recommend him and would definitely use him again.